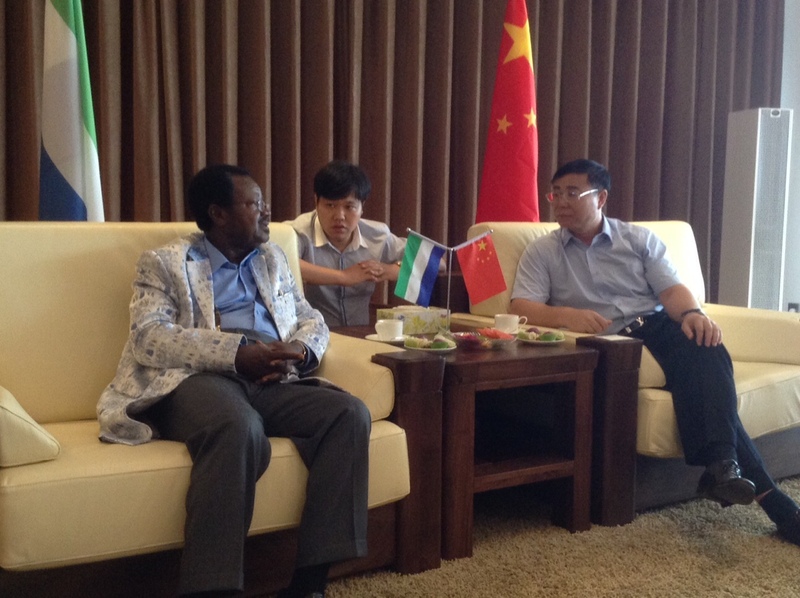 Sierra Leone’s Ambassador to the People’s Republic of China – Victor Bockarie Foh has said that an improved, well reconstructed and properly managed national sea port, would encourage Sierra Leone’s international trade. It will also open up the country’s domestic market and positively fast track the Agenda for Prosperity, says ambassador Foh. Ambassador Foh was speaking last Friday at a meeting with the TIDFORE Group, a reputable private sector Chinese company, located in Changsha City, Hunan Province, the birthplace of the highly respected and great mentor of modern China, the late Chairman Mao Sedong. Ambassador Foh and TIDFORE examined the many investment opportunities on offer in Sierra Leone, especially the sea transport sector, which is need of extensive reconstruction work; and renewal of the port facilities at the Queen Elizabeth II Deep Water Quay in Freetown. 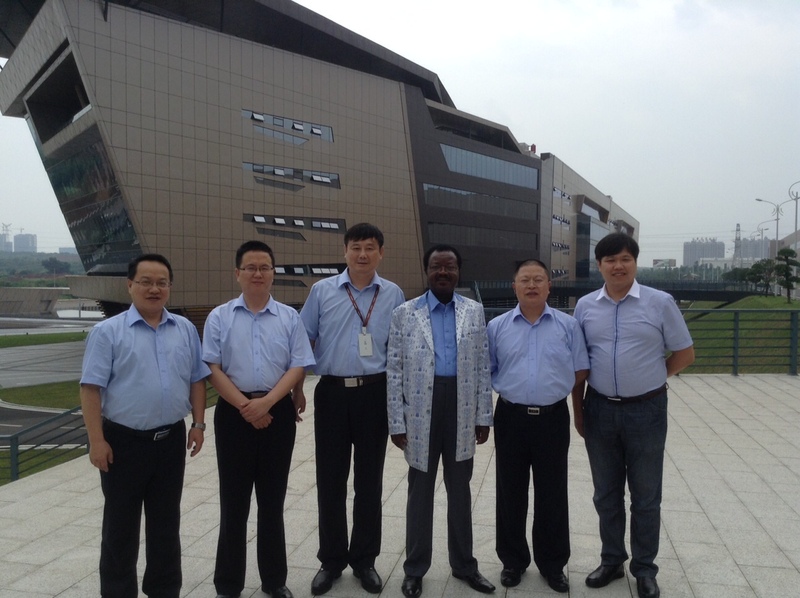 Ambassador Foh was in Changsha City, Hunan Province, on the invitation of TIDFORE Group’s Chief Executive Officer – Yong Zhang, whose Group has signed a Memorandum of Understanding with Sierra Leone’s Ministry of Transport and Aviation. The company has expressed an interest in the reconstruction and expansion of the country’s only commercial sea port – the Q.E.II Water Quay. This proposal is a major development component of Sierra Leone’s Transport and Aviation Ministry’s Plan of Action. He said that he was greatly impressed with the TIDFORE Group’s Industrial Park and the wide range of Sea Port machinery produced by the Group. He encouraged TIDFORE to fulfill the dictates of the MOU they have already signed, so that they could demonstrate that they are indeed a capable and serious company. He reminded TIDFORE that the government of Sierra Leone was looking for credible private companies with which it could establish mutually beneficial partnership. He assured the Group that Sierra Leone offers conducive business climate, where investments thrive. CEO of TIDFORE Group – Yong Zhang said his Group is a comprehensive enterprise, with major investments in heavy machinery manufacturing and works contracts. The Group, he disclosed, has five subsidiaries; TIDFORE International Engineering; Tidfore Heavy Industry; Tidfore Leasing; TIDFORE Real Estate; and TIDFORE Automatic. 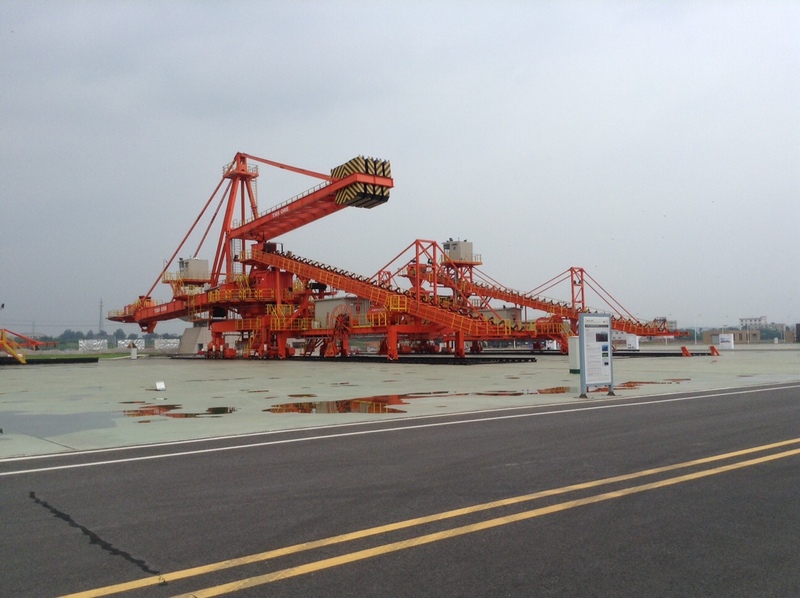 The Group is involved in Ports Handling Systems, Marine Engineering Equipment Systems, Conveying Systems, and Stockyard of Steel Works. Being the third biggest private company in China, TIDFORE has over the years undertaken many major projects, including the Tianjin Tiangang United Special Steel, Tainjin Xinke Metal Materials and Jiangshu Jing Hai An Group Port. The company uses direct investments, BOT and other models to further its operations. The CEO promised to undertake many projects in Sierra Leone in the areas of Ports, Roads and Bridges, and Real Estate Development. Meanwhile, a delegation headed by Sierra Leone’s Minister of Transport and Aviation is expected in China in the coming weeks, so as to further discussions with TIDFORE on the proposed Deep Sea Port Expansion Project. Currently, Sierra Leone can barely accommodate vessels that have the capacity of between 60 to 80 thousand tons. Vessels with capacity of between 120 to 180 thousand tons and above are not handled by the Port. This is a serious constraint for the country’s iron ore industry. Until a deep sea port is constructed to accommodate larger size vessels, the country will continue to find it difficult to fully maximise revenue from her rich mineral resources.